Adela Fonts (Barcelona, Spain) on 26 September 2016 in Miscellaneous and Portfolio. It does look very ominous ! @Phil Morris: A ship carrying coal for thermal ... Thanks a lot! Excellent image. It really does look the part of a ghost ship. Ça reflète une idée de voyage et d'aventure, le petit bateau au milieu donne une dimension à ce géant ! @Shahin Bahremand: Thanks a lot! 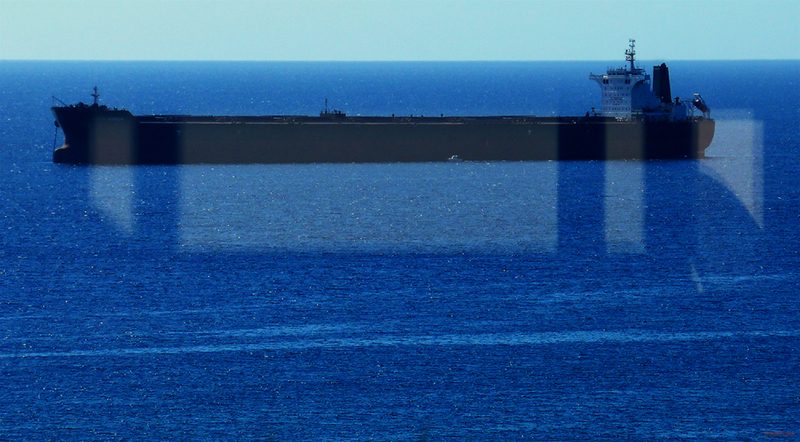 You have a wonderful view - the container ship is so big it fills your window. @kiwisa: Thanks a lot Frances! @Benkirane Thami: Un grand merci Thami!